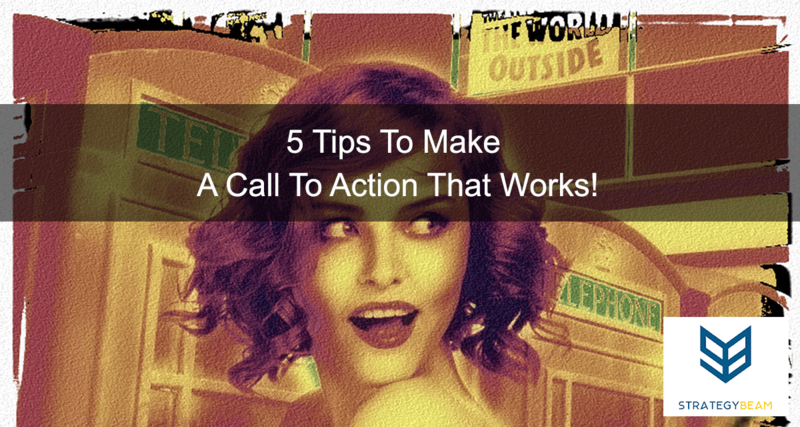 5 Tips To Make A Call To Action That Works! A Call To Action (CTA) is a way to direct your audience to take some form of action. A CTA is any type of prompt that directs your audience to take a specific action. The keyword here is specific. Everything you do in business should have a specific segment of your audience take action. “Exit Here” sign on doors. CTAs are ways to make conversions through content. Here is how to craft a great CTA that will get your audience to take action. I have worked with many businesses that fail to provide specific CTAs on every piece of content they produce. This is not a good thing. Every piece of content must have a CTA. Each blog post, podcast, ebook, email, traditional mail piece, web page, and infographic must have a strong CTA. This ensures your audience will know what to do next. If you don’t have a CTA on a piece of content, just throw it away. You should bright colors (but not obnoxious colors that will make your audience sick) that will draw their attention to the CTA. The main idea here is that your offering is worthless if it is blending in with everything else surrounding it. To do this, you can use the biggest, brightest, boldest colors that you feel comfortable using on the piece of content. I also suggest placing several CTAs throughout each piece of content. This will make it easier for your audience to take action! A good CTA will use compelling copy that is specific and actionable. A CTA should guide your audience toward a beneficial exchange. Each CTA must be an Action Verb, that will get your audience to act! Each piece of content needs to carry several CTAs. It is a waste of time and resources for you to create content to only have a CTA at the end of the piece. Put several CTAs that fit into your content. This will help your audience take action to engage your brand. Your audience skims, so having several CTAs gives them the needed opportunity to take action! Your audience is busy and overwhelmed with requests throughout the day to do many different things. You are competing with a million things that are trying to steal their attention from you and your products and services. Help your audience make the right decisions by pointing them in the right direction with a clear, concise, action-orientated CTA. Now it’s your turn! How do you use Call To Actions in your content to get results? Let me know in the comments below!